For more details, call George Hebert, Card Travel and Tours at 508 230-7800. For your convenience, George Hebert is also available at the Senior CenterDuring lunch on Mondays. Effective April 2, 2012, public access to the Food Pantry located at the Bridgewater Senior Center, 10 Wally Krueger Way will be on Thursdays only from 10:00a.m.-2:00p.m. 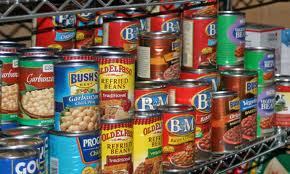 Incoming donations for the Food Pantry will continue to be accepted at any time. If you are interested in volunteering to assist with the Food Pantry, please call Lorraine Carrozza, Director of Elder Affairs at 508 697-0929. 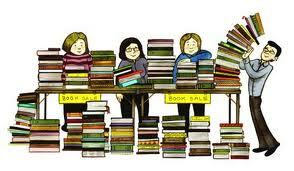 The Friends of the Bridgewater Public Library will sponsor a Book Sale on Saturday, March 31st in the Flora T. Little Meeting Room on the lower level. The sale is from 11a.m. – 1p.m., with a Friends Only Preview from 10a.m. – 11a.m. Volunteers and prizes are welcome. Michael Tougias will present a narrated slide/lecture at the Bridgewater Public Library on Tuesday, March 27th at 7:00 p.m. His topic will be: Overboard: the storm that tore apart a 45-foot sailboat in the Gulf Stream, based on his non-fiction book of the same name. Scientists have recently discovered there are far more rogue waves than previously thought, and they are likely increasing in size and frequency. Among the worst places on the planet to generate rogue waves is the Gulf Stream, just off the east coast of the United States. This is the location of a May 2005 disaster and survival story chronicled in Overboard! Michael Tougias is the author of 19 books and gives frequent lectures in and around Massachusetts. 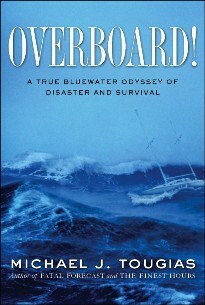 In addition to Overboard!, some of his titles include: Fatal Forecast, a True Story of Survival at Georges Bank; King Philip’s Indian War; There’s a Porcupine in my Outhouse; The Blizzard of ’78; A Taunton River Journey; 400 Miles Down the Connecticut River; Ten Hours Until Dawn. He can be visited on the web at www.michaeltougias.com/. When not writing or exploring, Tougias donates his time to protecting open space. This free program is funded by the Friends of the Bridgewater Public Library. It will be held in the Flora T. Little Meeting Room, which is accessible by elevator. There is parking in back of the library, located at 15 South Street. Here is a list of upcoming events at The Reiki Shoppe. Reiki Share - Monday, April 2nd - 6:30 to 8:30pm - Exchange energy with others who have completed at least the first level of Reiki. Cost is $10.00 per person. The Reiki Shoppe, 63 Main Street, Bridgewater. Go to www.thereikishoppe.com or call 508-697-3113 to register. Spiritual Exchange - Thursday, April 12th - 7:00 to 9:00pm - Learn how to strengthen your spiritual skills to connect to your angels, guides, and spirited loved ones. New topic monthly. Cost is $20.00 per person. The Reiki Shoppe, 63 Main Street, Bridgewater. Go to www.thereikishoppe.com or call 508-697-3113 to register. Spiritual Development Class - Level 1 - Sunday April 22nd from 6 to 9pm and Monday, April 23rd from 6 to 9pm - Learn if you are a psychic, medium, or angel messenger. This is a class chocked full of information you will not find elsewhere. You will receive an attunement to open your connection even higher! Learn what abilities you have and how to strengthen them in a safe way to connect to your spiritual team of angels, guides, and spirited loved ones. $222.00 per person. The Reiki Shoppe, 63 Main Street, Bridgewater. Go to www.thereikishoppe.com or call 508-697-3113 to register. Reiki for Illness Class - Thursday, April 26th - 6 to 9pm - This is a basic level of Reiki to help yourself heal or to help an ailing loved one. This is not a Reiki I Certification Class. This class comes with basic instruction, a manual, the attunement, and instruction time. $75.00 per person. . The Reiki Shoppe, 63 Main Street, Bridgewater. Go to www.thereikishoppe.com or call 508-697-3113 to register. Reiki Share - Monday, May 7th - 6:30 to 8:30pm - Exchange energy with others who have completed at least the first level of Reiki. Cost is $10.00 per person. The Reiki Shoppe, 63 Main Street, Bridgewater. Go to www.thereikishoppe.com or call 508-697-3113 to register. Spiritual Exchange - Thursday, May 10th - 7:00 to 9:00pm - Learn how to strengthen your spiritual skills to connect to your angels, guides, and spirited loved ones. New topic monthly. Cost is $20.00 per person. The Reiki Shoppe, 63 Main Street, Bridgewater. Go to www.thereikishoppe.com or call 508-697-3113 to register. Reiki I Class - Monday, May 14th and Tuesday, May 15th from 6 to 9pm - Learn about Reiki, an ancient hands-on healing art through this first level certification class. In this class we will review the history, benefits, and hand placements of Reiki. Includes teaching time, manual, attunement, and certification. $150.00 per person. The Reiki Shoppe, 63 Main Street, Bridgewater. Go to www.thereikishoppe.com or call 508-697-3113 to register. Angel & Prayer Healing - Thursday, May 24th - 7 to 9pm - Learn how to heal from illness and bereavement through the guidance of angels. This class includes instructions and handouts. $31.00 per person - The Reiki Shoppe, 63 Main Street, Bridgewater. Go to www.thereikishoppe.com or call 508-697-3113 to register. Reiki Share - Monday, June 4th - 6:30 to 8:30pm - Exchange energy with others who have completed at least their first level of Reiki. Cost is $10.00 per person. The Reiki Shoppe, 63 Main Street, Bridgewater. Go to www.thereikishoppe.com or call 508-697-3113 to register. Anyone can Ear Cone - Thursday, June 7th - 6:30 to 9pm - Learn the benefits of ear coning to remove wax and debris from your loved ones ears. Cost includes demonstration of one guest, instruction, manual, and 1 set of ear cones. $75.00. The Reiki Shoppe, 63 Main Street, Bridgewater. Go to www.thereikishoppe.com or call 508-697-3113 to register. Spiritual Exchange - Thursday, June 14, 2012 - 7 to 9pm - Learn how to strengthen your spiritual skills to connect to your angels, guides, and spirited loved ones. New topic monthly. Cost is $20.00 per person. The Reiki Shoppe, 63 Main Street, Bridgewater. Go to www.thereikishoppe.com or call 508-697-3113 to register. Reiki II Class - Friday, June 15, 2012 from 6 to 9pm and Saturday, June 16th from 9am to 12pm. Learn the three symbols of Reiki to emotional, mental, and long distance healing. This is a practitioner level class. 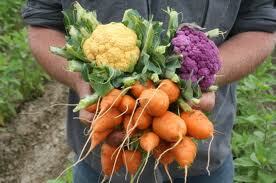 The class includes teaching time, manual, attunement,and certification. $250.00 per person. The Reiki Shoppe, 63 Main Street, Bridgewater. Go to www.thereikishoppe.com or call 508-697-3113 to register. On 12 April 1945 U.S. President Franklin Delano Roosevelt died of a cerebral hemorrhage in the Summer White House at Warm Springs, Georgia. The only man to be elected to four terms as president of the United States, Roosevelt is remembered, by friends and enemies alike, for his New Deal social policies and leadership during World War II. Roosevelt was elected to a third term in 1940 with the promise of maintaining American neutrality as far as foreign wars were concerned: "Let no man or woman thoughtlessly or falsely talk of American people sending its armies to European fields." But as Hitler's war spread, and the desperation of Britain grew, the president fought for passage in Congress of the Lend-Lease Act, in March 1941, which committed financial aid to Great Britain and other allies. In August, Roosevelt met with British Prime Minister Winston Churchill to proclaim the Atlantic Charter, which would become the basis of the United Nations; they also drafted a statement to the effect that the United States "would be compelled to take countermeasures" should Japan further encroach in the southwest Pacific. Despite ongoing negotiations with Japan, that "further encroachment" took the form of the Japanese bombing of Pearl Harbor, "a day that would live in infamy." The next day Roosevelt requested, and received, a declaration of war against Japan. On 11 December, Germany and Italy declared war on the United States. Corporal Arthur Joyce, former Deputy Chief of the Bridgewater Fire Department now deceased, served in the United States Army, Military Police Corps, assigned to the Presidential Security Unit at Fort Myer, Virginia. He was abroad the funeral train that transported Roosevelt’s remains from Georgia to Hyde Park, New York for burial. The world lost a great leader. On April 10, 2012, The Bridgewater Business Association will host a Meet & Greet Networking Event from 5:30 p.m.-8:00 p.m. 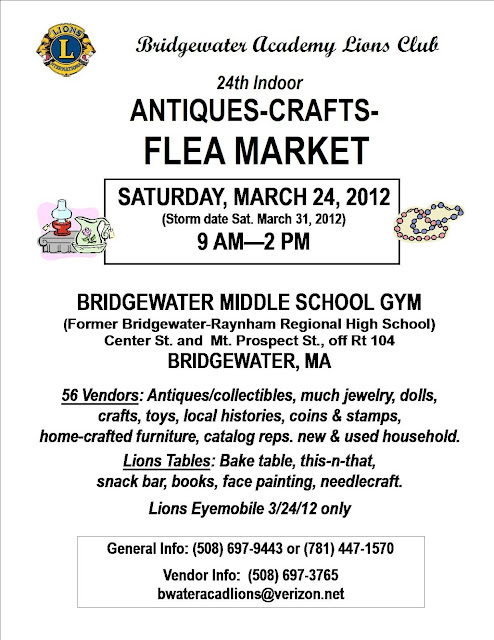 The event will take place at the Bridge Center, located at 470 Pine Street in Bridgewater, MA (near Olde Scotland Links). Please join us for an evening open to all businesses in the Bridgewater area that includes complimentary food and cocktails, and guest speakers on topics relevant to Bridgewater businesses. This is a FREE event and there will be lots of time for mingling and networking. Come out for a fun, informational evening, and meet some new friends and neighbors in the business community. We are pleased to announce our speakers for the evening will be Bridgewater Town Manager Troy Clarkson, State Representative for Bridgewater Angelo D’Emilia, and Security Management Partners from Waltham. The wonderful students from Café 129, a restaurant run by the life skills class at Bridgewater-Raynham Regional High School, will be assisting the BBA during our event. The Café is open for lunch every Tuesday at 10:30 a.m. and welcomes students, teachers and members of the public. There will be hourly door prizes, as well as the opportunity to purchase raffle tickets for a large basket full of local goodies, gift cards and certificates. The raffle winner will be chosen at the end of the event and you must be present to win. Proceeds from this raffle will benefit the students of Café 129. BBA Members are encouraged to bring new businesses to the event. As an incentive, we are offering the following: Bring a minimum of three new business's and get them to join the BBA within 1 week of this event. The Member whom has the highest number of new business's will be entitled to a free ad as part the upocoming Enterprise AutumnFest full page promotion advertisement (est. value $300.00). The 2012 Meet & Greet is sponsored by The Bridge Center, Bridgewater Savings Bank, Metro South Regional Economic Development Organization, The Community Bank, Edward Jones/Bridgewater, Sullivan Tire and Auto Service/Bridgewater, and Just Desserts Bakery & Cafe. For up-to-date event information, directions or to RSVP, visit our website at www.bridgewaterbiz.biz/events, like us on Facebook, or follow us on Twitter. You may also contact our Meet & Greet Event Coordinator Nancy Koczela at 508-884-5701 or e-mail the BBA at membership@bridgewaterbiz.biz. The Bridgewater Business Association is a non-profit corporation, originally formed in 1984, devoted to the interests of the business community in the Town of Bridgewater. Our annual events, such as AutumnFest and Christmas on the Common, have become some of the largest annual community and charitable events in the Town of Bridgewater. The Bridge Center is a non-profit agency that provides recreational activities for children and young adults with disabilities. They support families by providing children with opportunities to build social, emotional, & physical skills so they may participate fully in their communities. The BBA - Good for Business, Good for Bridgewater, Good for You! The Bridgewater-Raynham Special Education Parents Advisory Council (BR-SEPAC) will be holding their monthly informational meeting on Tuesday March 20th at 6:30pm. The meeting will be held at the Bridgewater-Raynham High School Lecture Hall (second floor) located at 415 Center Street, Bridgewater, MA. The BR-SEPAC is made up of parents that represent about 850 children with special needs within the Bridgewater-Raynham School district. The BR-SEPAC works collaboratively with the Bridgewater-Raynham Public Schools and Bridgewater-Raynham School Committee to provide support and information for parents, school personnel, and the community about disabilities and the special education process. The Bridgewater-Raynham SEPAC accomplishes this through regular meetings, workshops, presentations, and special events. The meeting is free and open to all. For more information visit our website: brsepac.org or email Stephen Benjamin. Tickets are $15.00 per person. This is an over 21 event; please bring a photo ID. Tickets can be purchased in Bridgewater at Wine, Beer, and More (on Route 104 across from The Home Depot) or at Prisco’s Market. Or you can email Kirsten Murphy at crickmurph@aol.comor Wendi LaCivita at wendi@lacivita.com. Wine, Beer, and More will supply over 60 wine varietals. Food will be supplied by some of your favorite places to dine in and around Bridgewater, including Prisco’s Market, Broad St Pub featuring the Black Irish Grille, Johnny Macaroni’s, Star Pizza, Edible Arrangements, Dove Chocolate Discoveries by Deb Healy, and Cake in a Box. We’ll have theme baskets and other items to raffle. Our exclusive sterling silver Earth’s Elements hometown charm beads will also be available for purchase. All proceeds from this fundraiser will be earmarked for technology at the Williams Intermediate and Bridgewater Middle Schools. The Children’s Room of the Bridgewater Public Library will host Barn Babies on Saturday, March 24th for children age 3-12. Four sessions will be offered: 11-11:30a.m. ; 11:30a.m.-12noon; 12noon-12:30p.m. ; 12:30-1p.m. 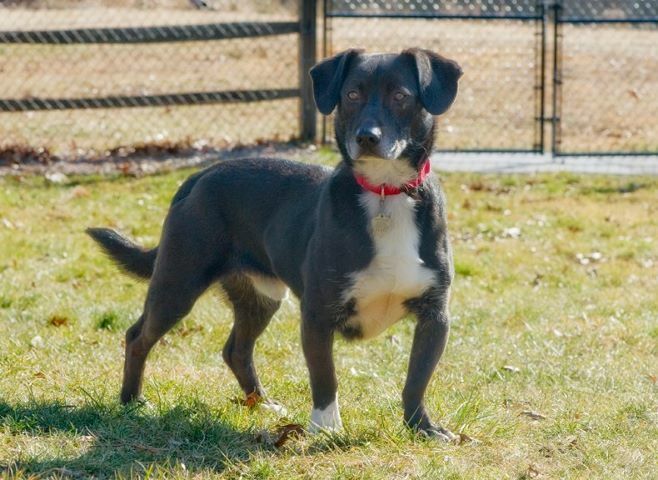 Participating children will have a chance to cuddle kittens, bunnies, puppies and other barn baby animals. Participation in this program is limited to registrants and their parents only. No older or younger siblings can be accommodated. Registration begins Tuesday, March 13th. To register, drop by the Children’s Room or call the library at 508-697-3331. The library is located at 15 South Street. Barn Babies is funded by the Friends of the Bridgewater Public Library. The Children’s Department at the Bridgewater Public Library has announced its spring schedule for Children’s Storytimes. 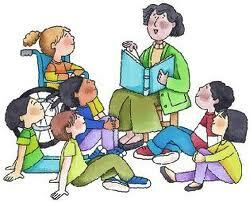 Baby Storytime, for infants through 24 months of age with an adult, will be offered on Thursdays from 10:30 to 11:00 a.m. This program will include stories, songs, rhymes and a short period when children can play with toys and get acquainted with others in the group. Toddler Storytime, for children age 2-3 years old with an adult, will be offered on Wednesdays from 9:30-10 a.m. or 10:15a.m.-10:45a.m. This program will include stories, songs and rhymes based on a weekly theme. Preschool Storytime and Craft, for children age 4-6, will be offered on Thursdays from 9:30-10:15 a.m. Children must be able to sit without an adult. This program will include stories, songs, fingerplays and a craft based on a weekly theme. All Storytimes run for six weeks beginning the week of April 4th and ending the week of May 16th. There will be no story times held the week of April 18th, School Vacation Week. Registration is required and will begin on Monday, March 19th and end on March 31st. To register, drop by the Children’s Room or call the library at 508-697-3331. No e-mail registrations will be accepted. Cleveland Kurtz, President & CEO of the Rhode Island Rhythm and Blues Preservation Society will speak on the history of Blues, Tuesday March 13 at 11 AM, Heritage Room, Maxwell Library. Learn about the history of Blues in the United States from a long-time blues master, Cleveland Kurtz. 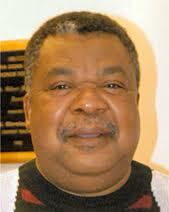 Mr. Kurtz will talk about notable names in the history of US blues. The Rhode Island Rhythm and Blues Preservation Society is a non-profit dedicated to promoting and preserving the African American heritage tradition, folklore and history of blues music through public education. Sponsored by the BSU Anthropology Department. Parking in Chapel or Harrington Lots for community members. Faculty Piano Trio Performs "Ghosting the Tango"
"Ghosting the Tango with Trio Fiero" (the BSU Faculty Piano Trio) will take place on the Monday, March 12 at 8 pm Horace Mann Auditorium, Boyden Hall. The concert features professors Miguel Perez-Espejo, violin, Guy Fishman, cello and Deborah Nemko, piano. Music performed will include Beethoven's mysterious and dramatic "Ghost Trio" as well as selections from the "Seasons" by Astor Piazzolla, exhilarating tangos arranged for the piano trio format. The program is open to the public and admission is free. Schedule Saturday Tour of the Keith Parsonage (W.
Please do not feed him (unless its treats to attract him) as we want him to go to the trap for food. If you see him, crouch down, lie down, make whimpering noises to see if he will come to you. Bridgewater- Every lap counts at the American Cancer Society's Relay For Life of Greater Bridgewater. Join a Relay For Life team and take part in a celebration of cancer survivorship. Local residents are encouraged to join with their community and take steps to raise the vital funds needed to help find a cure for cancer. The next Team Captain's meeting is set for 7:15pm on March thirteenth on the upstairs floor of St. Basil’s Catholic Center at Bridgewater State University. The American Cancer Society's annual Relay For Life of Greater Bridgewater is set for June 15-16 at Bridgewater Raynham Regional High School. This year will have an Olympic theme! The Relay For Life of Greater Bridgewater is currently seeking local residents to serve as team captains and/or team members. Relay For Life teams raise money by gathering sponsors to support their participation in the Relay. Over $7,000 has already been raised! Teams of walkers keep a continuous presence on a local school track throughout the overnight event, walking in shifts to raise funds for the American Cancer Society programs. 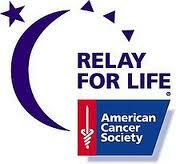 Anyone interested in finding out more about Relay For Life is welcome to attend the meeting. Society's signature activity that takes place in thousands of communities nationwide. This unique, overnight, community event allows individuals from all walks of life to join in the fight against cancer. Funds raised benefit American Cancer Society programs of research, education, advocacy, and local patient services. For more information about relay For Life, how to volunteer, or for more information about cancer, contact the American Cancer Society at 1-800-ACS-2345 or online at www.cancer.org. Bridgewater, MA -- Bridgewater Credit Union announces the formation of their 1st annual charity Dodgeball tournament to be held on April 21, 2012. 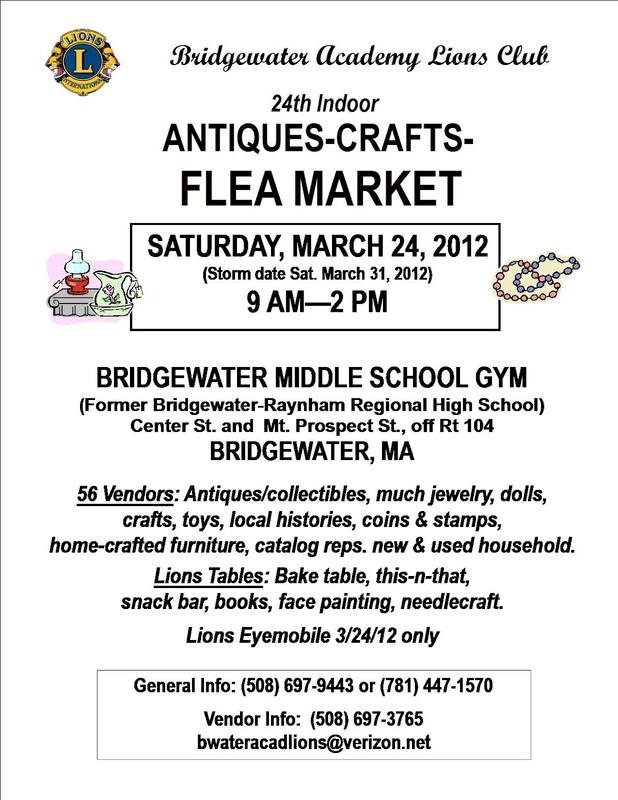 The event, open to the public, will take place at The DOME Athletic Complex on Route 18 in Bridgewater from 11 am – 3 pm. Bridgewater Credit Union plays many roles in helping charities throughout MA. As a major contributor to CU Kid’s At Heart Campaign, 100% of the proceeds will go to benefit Children’s Hospital. “We wanted to create an annual event that we could call our own and be able to give to charities that we hold near and dear to us,” says Mark Campanale, Director of Marketing. “We have a strong philanthropic plan for 2012 and beyond, and want to make an impact in many of the areas we service for years to come.” Some of the other charitable plans include a partnership with Bridgewater State University for their Financial Literacy and Giving Program (FLAG) and anchoring a major sponsorship that will create the New Bedford JazzFest in support of Your Theatre, Inc. In 2011, the credit union launched their first ever charity Recipe Book that raised more than $3,000 for local soup kitchens. Sign-up sheets for the Dodgeball Tournament can be found at all Bridgewater Credit Union locations, as well as on their web site: www.bridgewatercu.com. Bridgewater Credit Union is a state chartered community credit union. Any person who lives or works in the Massachusetts counties of Plymouth, Bristol, Barnstable or Norfolk is eligible to join. 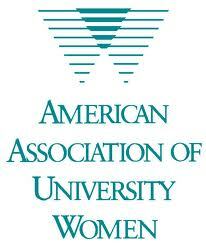 On Wednesday, March 14th, the Taunton branch of the AAUW (American Association of University Women) will meet at the Arbors in Taunton, located at 763 County Street. The meeting, which is open to the public, begins at 7:00 p.m.
Gail Fortes from the YWCA will be the guest speaker. She will be speaking about the YWCA and its mission to promote economic empowerment for women, to eliminate racism, and to provide services directly to women and girls. For more information about the local area branch of the AAUW, call Rosemarie Buote, Vice President of Membership, at 508-669-5069. The Taunton area branch also maintains a website at: www.aauw-ma.org/taunton/aauwtaunton.htm. The Bridgewater Public Library and Bridgewater’s One Book One Community Committee will sponsor “Goin’ Green”, a panel discussion about the benefits of locally grown food and organic living, on Saturday, March 17th from 11a.m. – 1p.m. Light refreshments will be served. Members of the panel are David Hanson from Hanson’s Farm, Ron Maribett from Colchester Farm, Dave Dumoulin from Ropes and Saddles, and Arthur Lizie from Bridgewater State University. “Goin’ Green” is part of Bridgewater’s One Book One Community program, which has chosen Ben Hewitt’s The Town that Food Saved as its spring community read. Mr. Hewitt details the near-death experience of Hardwick, Vermont, which was on its way to becoming a statistic, doomed by its unraveling economy. Enter agricultural entrepreneurs with the aim of creating sustainable economic development to wean the nation off its dependence on industrial processed food. Cooperative agriculture in Hardwick attracted investors, brought businesses back to main street, and created jobs. The Town that Food Saved is available for borrowing at the Bridgewater Public Library, which is open Monday-Wednesday 9a.m.-8p.m. ; Thursday 9a.m.-6p.m. ; Friday 9a.m.-5p.m. ; Saturday 10a.m.-2p.m. “Goin’ Green” will be held in the Flora T. Little Room at the Bridgewater Public Library, 15 South Street. For more information about the program, call Mary O’Connell at 508-697-3331. For more information about Bridgewater’s One Book One Community partnership, contact Sue McCombe at Bridgewater State University (smccombe@bridgew.edu). The Town of Bridgewater Department of Veterans Services has received several complaints from residents who have received telephone calls from groups that are not legitimate. 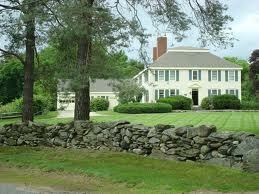 They are soliciting donations; they are not registered charitable organizations in the Commonwealth of Massachusetts. The best course of action is to ask for something to be mailed to you. If you do receive a suspicious call, please notify the Bridgewater Police Department immediately at 508-697-6118. 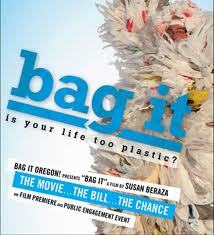 The Bridgewater Green Committee sponsors the showing of the movie Bag It.